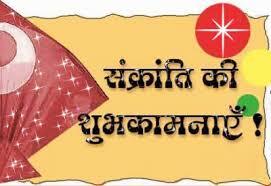 Unlike other Hindu festivals which follow the lunar motion, Makar Sankranti follows the movement of the sun. It marks the beginning of the sun’s transition into the zodiac of Capricorn (Makar=Capricorn, Sankranti= transition). This makes it the only festival to fall on a fixed date every year – January 14th.From this day, the bright day starts becoming longer and the dark night starts becoming shorter. This is the day winter officially ends and spring begins – a transition symbolic of discarding the previous season’s bad and the beginning of a fresh new season. 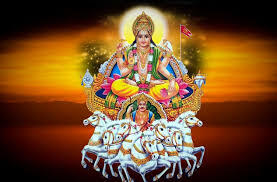 Uttarayana is referred to as the day of new good healthy wealthy beginning. 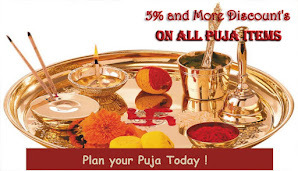 It is a festive day all over India. Each region celebrates its own local form of this festival. In the western parts of India it is called the “Makar Sankranti”. Maximum use of sesame seeds is made during Sankranti festival. People bathing with water containing sesame seeds and eating and distributing sesame seeds laddo offering sesame to Brahmans, lighting lamps of sesame oil in a temple of Shri Shiva and performing pitrushraddh in which an offering of sesame seeds is made.Importance of sesame seeds according to Ayurveda: Since Sankranti falls in winter, consuming sesame seeds is beneficial. We should start our day by offering holy water & cow’s milk to God Sun in a copper utensil and chanting this mantra ( ऊँ घृणि सूर्याय नम:).Adding red colour flowers to the water is more auspicious. One gets great health benefits if one worships Sun God. Have a sun bath on this day. Cover your head and lie down on the ground at a time when the sun rays are mild. Sun bath is very useful in laying position. Sunbath cures many known & hidden diseases. Taking a glass of lukewarm water before sunbath & bath with cold water after sunbath. According to the scriptures the donations on this day are known to come back by a hundredfold. If you want the luck to be with you then donate blankets, warm clothing, butter, cereals - rice porridge holy books etc. Which pulse is cooked on this day? According to Indian religious texts, on the day of Uttarayani also called Ghughuti (घुघुति) in Kumaon, the sun enters the Zodiacal sign of 'Makara' (Capricon), i.e. from this day onwards the sun becomes 'Uttarayan' or it starts moving to the north. It is said that from this day, which signals a change of season, the migratory birds start returning to the hills. 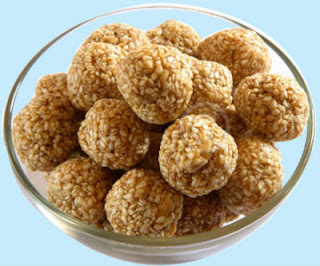 On Makara Sankranti people give Khichadi (a mixture of pulses and rice) in charity, take ceremonial dips in holy rivers, participate in the Uttarayani fairs and celebrate the festival of Ghughutia or Kale Kauva. During the festival of Kale Kauva (literal translation 'black crow') people make sweetmeats out of sweetened flour (flour and gur) deep fried in ghee, shape them in shapes such as drums, pomegranates, knives, and swords. They are strung together and worn as necklace, in the middle of which an orange is fixed. Early in the morning children wear these necklaces and sing "Kale Kauva" to attract crows and other birds and offer them portions of these necklaces, as a token of welcome for all the migratory birds, who are now coming back after their winter sojourn in the plains. mai ke de sunu thai.